Eyecare Advantage is an electronic health record and optometry practice management solution from Compulink which is suitable for private optometry practices of all sizes. The system offers customizable examination templates, automated compliance checks, integrated e-prescribing, secure instant messaging, billing management, electronic claims, appointment management, a point of sale (POS), inventory management tools, patient portal, and more. Eyecare Advantage includes a one-tab layout for examination documentation and a Visual Documentation Engine (VDE) for automatic creation of exam documentation and orders based on the patient’s diagnosis. Eyecare-specific templates can be customized to suit practice methods, and adaptive learning technology built into Eyecare Advantage allows the system to learn individual practice patterns during examinations, and adapt to each practice’s style. Data can be entered using voice, touch screens, or tablets, and patient information can be imported into patient records directly from more than 150 ophthalmic equipment interfaces. The built-in DICOM-based image viewer allows users to view, interpret, and manipulate imported patient information. For practice management, Eyecare Advantage includes tools for managing appointments, patient tracking, insurance eligibility verification, billing, and claims. Multiple appointments can be booked with a single click, and users can view appointments at-a-glance by the day, week, month, or office, and customize schedules based on locations, resources, or providers. An unlimited number of active insurance companies can be recorded for each patient, and users can define multiple plans and fee schedules for payment. PCI-compliant payment processing allows users to accept debit and credit card payments, and users can manage financial information with the integrated general ledger, accounts payable, and accounts receivable, and through interfaces with QuickBooks and other accounting systems. Eyecare Advantage also includes a point of sale (POS) system, lab ordering capabilities, and multi-location inventory management tools for optical dispensing. Optical plans and lens catalogs update automatically, and orders can be transmitted individually or in batches. Loaned items, repairs, and adjustments can be tracked, and interfaces with Frames Data®,VSP Eyefinity®, VisionWebTM, and other solutions are available. Over the past 15 years I have been responsible for implementing or converting several practices' EMR/practice management systems and I can tell you that, by far, my experience with Compulink ranks them at the top level. Since migrating to Compulink Advantage four years ago, we have seen improvements in clinical capabilities, quality of patient care, and effectiveness in all areas of our practice. What's more, Compulink has been an excellent business partner. They listen to their customers to understand what improvements or changes we need. The software improves in reliability and new features with successive software updates. I have not had that experience with all medical software vendors in the past. Feature-Rich: It's hard for any software to be everything to everyone, but Compulink has proven to have what we need to run our practice. Highly Customizable: The software comes with common-use templates that allow you to be up and running quickly, but the real power of the software is in how easily customized it is to fit how your practice works; not the other way around. Many integrations with third-party software are available as well. World-Class Support: Dedicated and knowledgeable staff are there to guide you every step of the way when you get started. Their technical and customer support are very helpful and responsive to keep things running properly as well. Feature-Rich: It's hard for any software to be everything to everyone, but Compulink has proven to have what we need to run our practice. Highly Customizable: The software comes with common-use templates that allow you to be up and running quickly, but the real power of the software is in how easily customized it is to fit how your practice works; not the other way around. Many integrations with third-party software are available as well. World-Class Support: Dedicated and knowledgeable staff are there to guide you every step of the way when you get started. Their technical and customer support are very helpful and responsive to keep things running properly as well. Software Customizations: The ability to customize is one of the best features of Compulink, but that also requires that you have a well thought-out plan for how you will use your system. Update bugs: Like most software packages, you might experience some issues with the "latest and greatest" versions. Fortunately when this has happened to us, Compulink has been there to remedy the issues promptly and keep our practice running pretty smooth. This Eyecare Advantage product is geared toward the optical industry and the customization makes our pricing more accurate. The vendor offers excellent support six days a week and also has specific departments based on your particular question or issue. You are not always directed to a general support person for questions. They also have different level of tiered support based on your question or issue. That is very nice! Compulink also offers a wide variety of online courses for training. Because of the complex nature of the functions behind this software which makes it for easier and automated functions for the user, Compulink uses SQL for many functions. While it works so very well, it makes me dependent on support to create a customized function. Compulink, The Good, The Bad, The Ugly. Compulink is a great piece of software and very well thought out. But what draws you to this particular EHR software can also deter you. 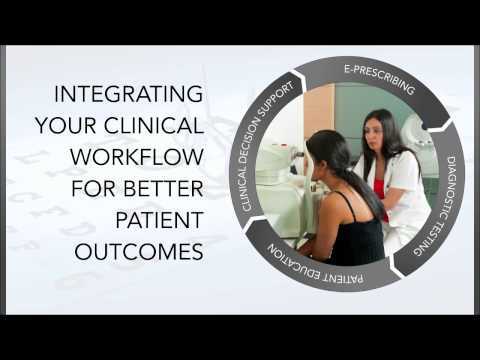 Let me explain, Compulink's main selling point is how customizable it is and how easy it is to switch from paper charts to EHR. But what they don't tell you is that the more you customize the software the less support they can truly offer and the more work you have to do to keep it all up to date. Don't get me wrong, Compulink's support staff is some of the best support people I have ever worked with. But the more you customize the less they can really do to help you. So the customization ends up being both a blessing and a curse. Overall, I would say that I would recommend the software mostly because of the great support and the fact that they do try and listen to you when you ask for a change in how the software fundamentally works. It just takes some time to get used to just how very different this EHR software really is compared to most other's available.I think the best thing I like about the software is the ability to write small "smart scripts" AKA "smart functions" in the EHR software that allows you to do many different things and even automatically fill out certain parts of the chart for the nurse and/or Doctor. There is also some printing functions that allows you to customize and print out specific letters to the patient and automatically fills in the patient's details or whatever you need really. The "screen builder" within the software is also very easy to use and makes customizing the software to how you want it to look very easy to do. I think the best thing I like about the software is the ability to write small "smart scripts" AKA "smart functions" in the EHR software that allows you to do many different things and even automatically fill out certain parts of the chart for the nurse and/or Doctor. There is also some printing functions that allows you to customize and print out specific letters to the patient and automatically fills in the patient's details or whatever you need really. The "screen builder" within the software is also very easy to use and makes customizing the software to how you want it to look very easy to do. As I stated before, the customizations that you are encouraged to make can also cause huge issues in the functionality of the software. If you mess up your layout, the ramifications to the stability of the EHR software can be huge. Total practice management with reliability and ease of useThe functionality, flexibility, and extensive nature of the software is impressive to say the least. It is an affordable option that makes practice management and billing simple. There is a bit of a learning curve, but every person from sales to customer service has gone out of their way to help in all areas needed and to consistently respond to support requests. Training new people on the software has gone well. It is a powerful program that Compulink is consistently working to improve, listening to user feedback. I am relieved we went with Compulink, as we recently had Tsome rather extensive growth. the program has handled our growth without a hiccup and allowed things to continue running smooth. Perfect? No. Worth it? Definitely. Overall, they are highly recommended. There is not one area where Compulink promised and did not deliver. Their staff is professional, the tech support is knowledgeable, and everyone works hard to ensure our success. So thankful for Compulink! The functionality, flexibility, and extensive nature of the software is impressive to say the least. It is an affordable option that makes practice management and billing simple. There is a bit of a learning curve, but every person from sales to customer service has gone out of their way to help in all areas needed and to consistently respond to support requests. Training new people on the software has gone well. It is a powerful program that Compulink is consistently working to improve, listening to user feedback. I am relieved we went with Compulink, as we recently had Tsome rather extensive growth. the program has handled our growth without a hiccup and allowed things to continue running smooth. Perfect? No. Worth it? Definitely. Overall, they are highly recommended. There is not one area where Compulink promised and did not deliver. Their staff is professional, the tech support is knowledgeable, and everyone works hard to ensure our success. So thankful for Compulink! Learning curve is moderate to heavy depending on experience, but comparable to the powerful nature of the software. Having some minor issues with insurance information no importing from the web registration. I have been a Compulink client for over 12 years and have seen the healthcare industry change a great deal. It is critical to have a software vendor that is committed to staying up-to-date on healthcare rules and restrictions. Compulink exceeds my expectations in this arena. They are on the forefront of the next phase in healthcare and I have been very happy knowing I have a partner looking out for my practice. Compulink allows me to either use the software in it's default format or to customize the software as much I want to meet the demands of patient flow and doctors' needs. I like being able to control certain modules within the software. I like the fact I can choose how "cookie cutter" or customized I want it to be. Compulink's training and support is phenomenal. They offer pre-recorded online courses as well as live webinars on every aspect of the software. This has been a great training tool for new employees. Their support department is very prompt in assisting me with whatever needs I have and are very knowledgeable about their product. Compulink offers various interfaces and third party programs for their software that makes our jobs easier. I personally take advantage of several of those features and they work very efficiently. The interfaces I utilize are for my autorefractor, visual field and online patient registration. The third party programs I use are Demand Force (e-mail/text software) and CLx (online contact lens ordering). Again, I have the choice of choosing what added interfaces would supplement patient care. I also maximize every module in the software. These modules include electronic health records, line item posting, electronic claims billing, direct billing for a couple of our major insurance plans as well as the inventory and lab modules. Compulink has found a way to nicely tie in every aspect of the software with each other.Customer support, very detailed EHR system, electronic billing capabilities, ability to customize software. Customer support, very detailed EHR system, electronic billing capabilities, ability to customize software. Customization can be labor intensive if you choose to go that route. Contact Compulink for full pricing information. The one-tab layout allows users to document complete exams in a single screen. The Visual Documentation Engine (VDE) creates orders and generates exam documentation automatically based on the patient’s diagnosis. Built-in adaptive learning technology allows the EHR to learn individual practice patterns during examinations, and adapt to each practice’s style. Patient information can be imported from more than 150 ophthalmic equipment interfaces directly into patient records, with the DICOM image viewer allowing users to view, manipulate, and interpret imported information. For optical dispensing, Eyecare Advantage includes a built-in point of sale (POS) system, multi-location inventory management tools, and lab ordering capabilities, in addition to automatic updating of lens catalogs and optical plans. Below are some frequently asked questions for Eyecare Advantage. Q. What type of pricing plans does Eyecare Advantage offer? Q. Who are the typical users of Eyecare Advantage? Q. What languages does Eyecare Advantage support? Q. Does Eyecare Advantage support mobile devices? Q. Does Eyecare Advantage offer an API? No, Eyecare Advantage does not have an API available. Q. What other apps does Eyecare Advantage integrate with? Q. What level of support does Eyecare Advantage offer?